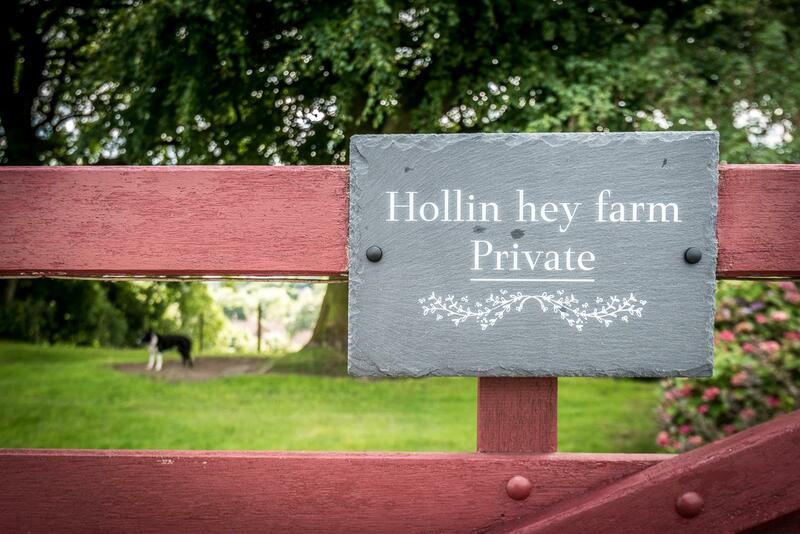 Leave the hustle and bustle of daily life and within minutes you are at the top of a country lane with panoramic views all around you.... welcome to Hollin Hey Farm. 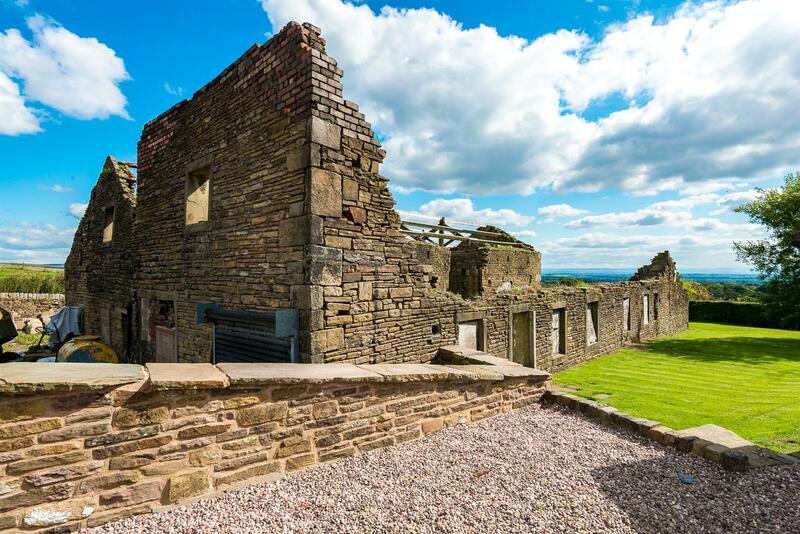 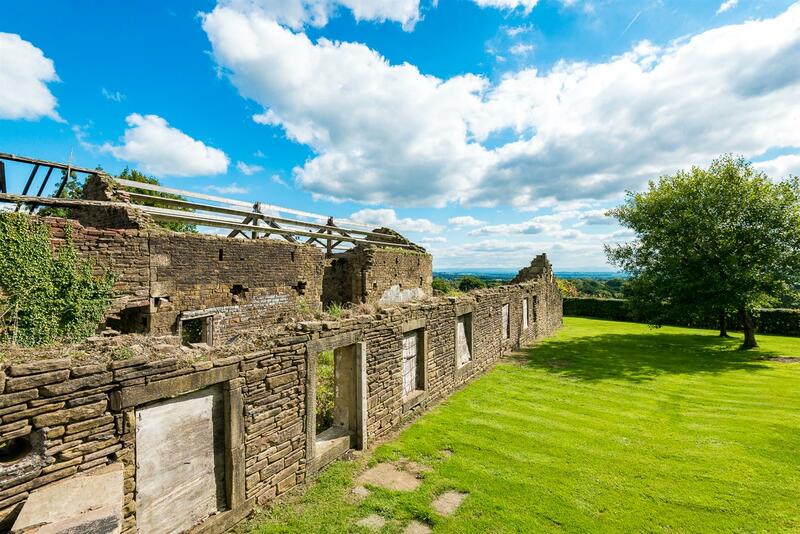 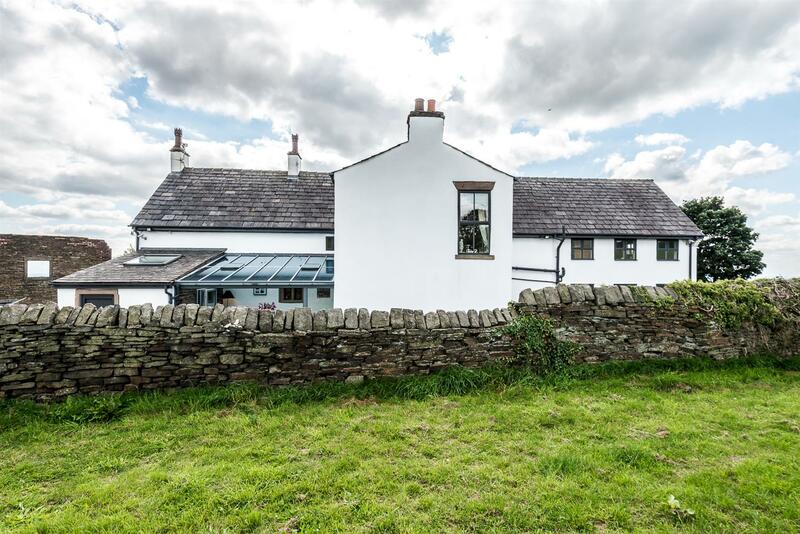 Welcome to Hollin Hey Farm, a Grade ll listed farmhouse with adjoining two storey annex, a detached stone barn with planning permission for two dwellings plus a 3 acre paddock. 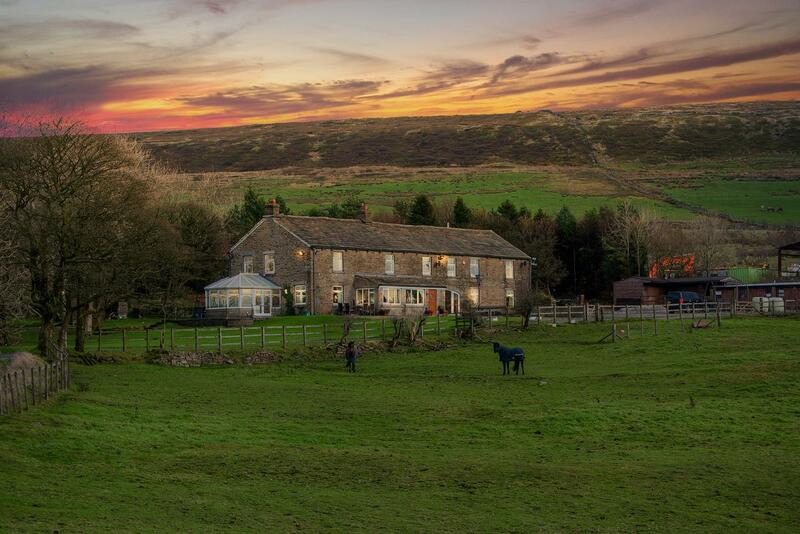 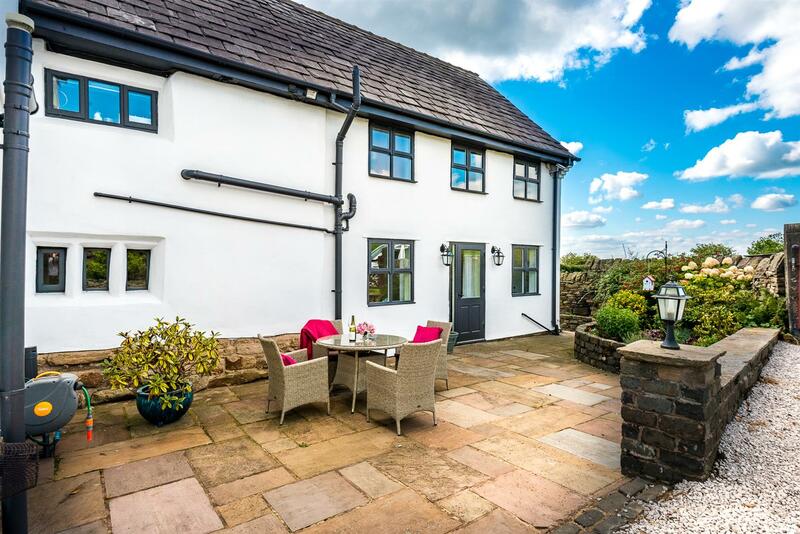 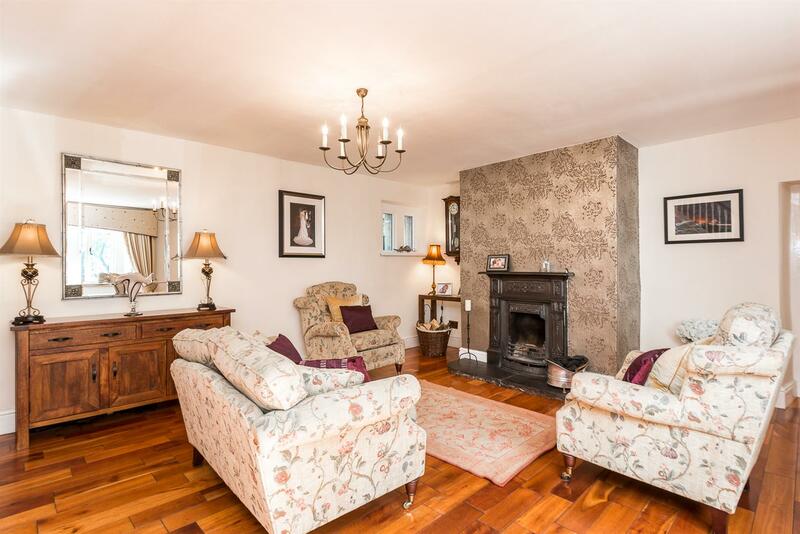 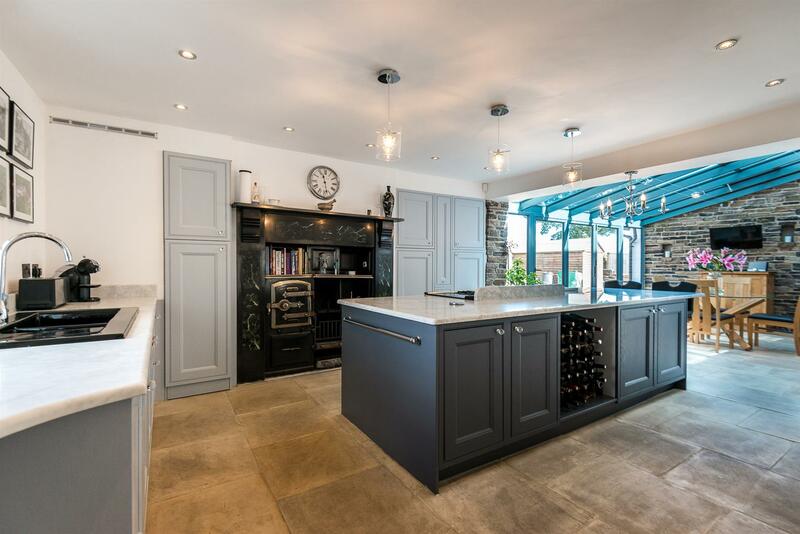 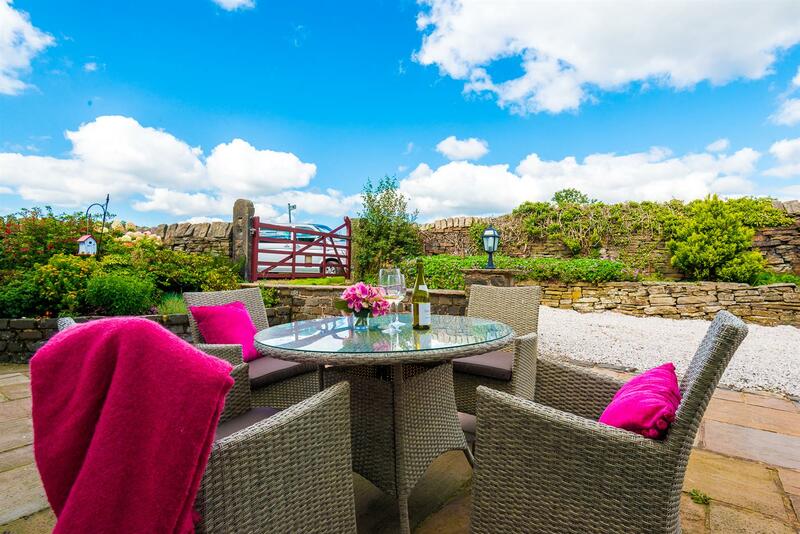 As you drive up the private country lane on your approach to Hollin Hey, the tempo of life starts to slow down and you instantly absorb the view and your first glimpse of this fabulous period farmhouse. 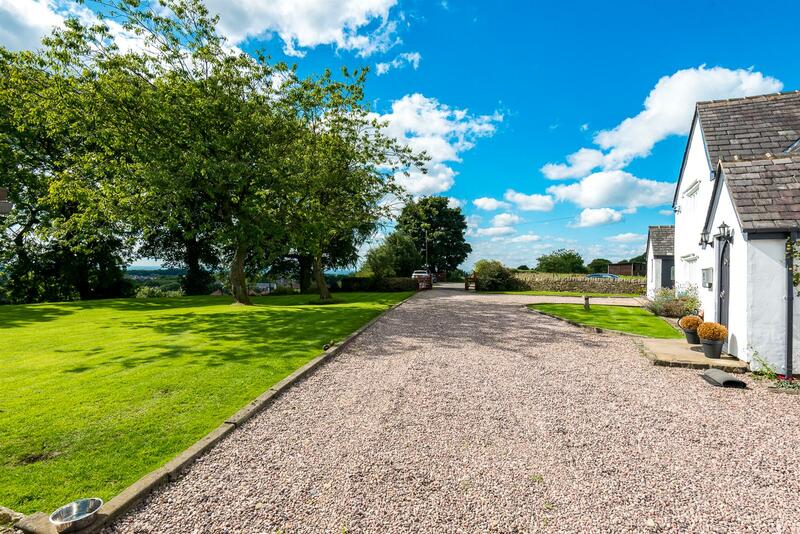 Pull through the gate and onto the sweeping gravelled driveway and you've arrived. 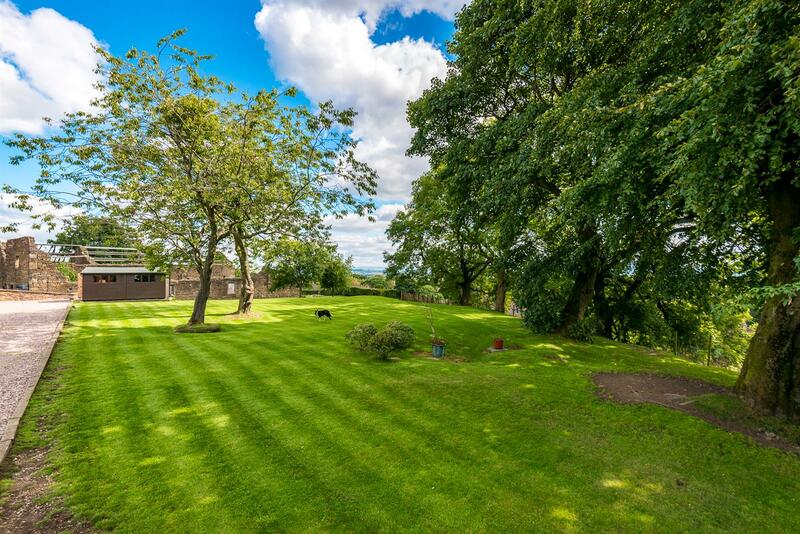 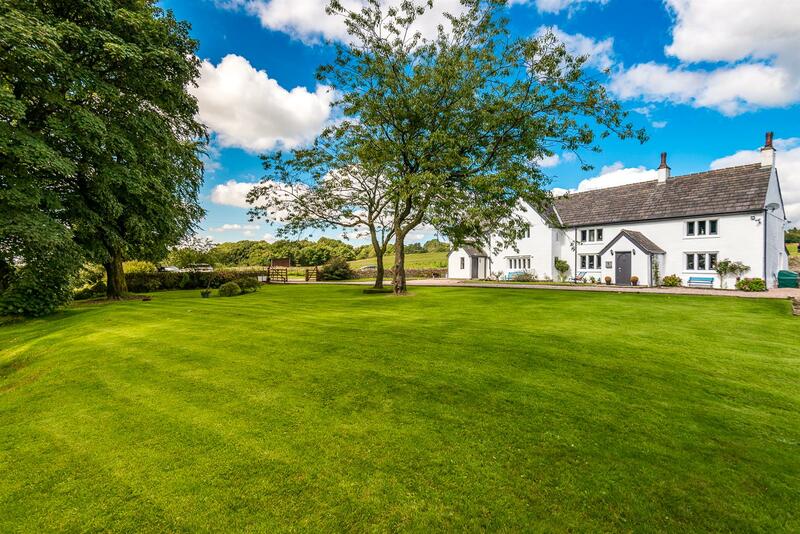 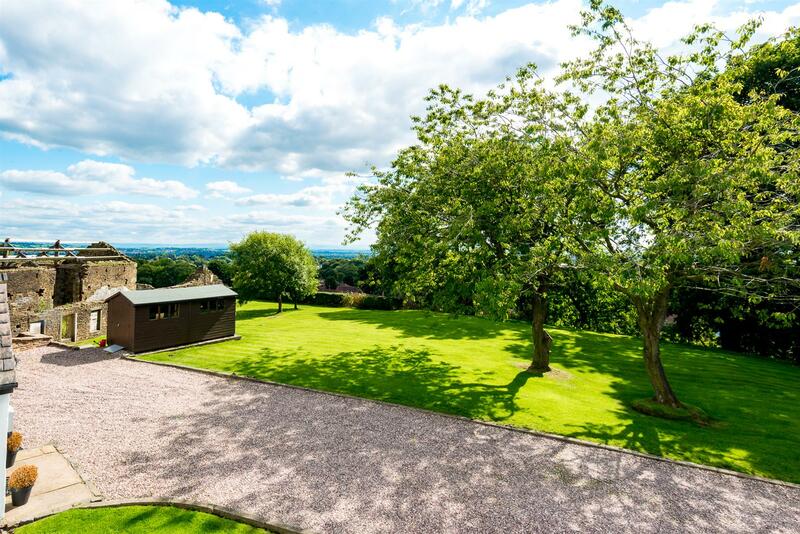 The manicured gardens to the front blur the boundaries with the fields that surround you and give a sense of being somewhere far from the hustle and bustle of Bolton life. 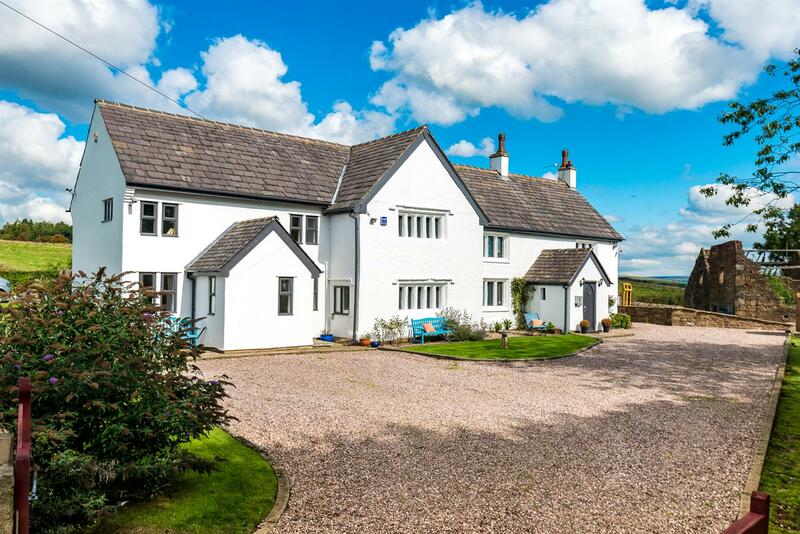 Dating back to the 1600's, Hollin Hey has been lovingly and sympathetically restored by the current owners to maximise the character which is clearly evident, from the crisp white facade which is tastefully accentuated with sleek grey woodwork giving a country chic look, through to the beautifully presented interior which has retained much of its inherent character and finished with a touch of glamour. 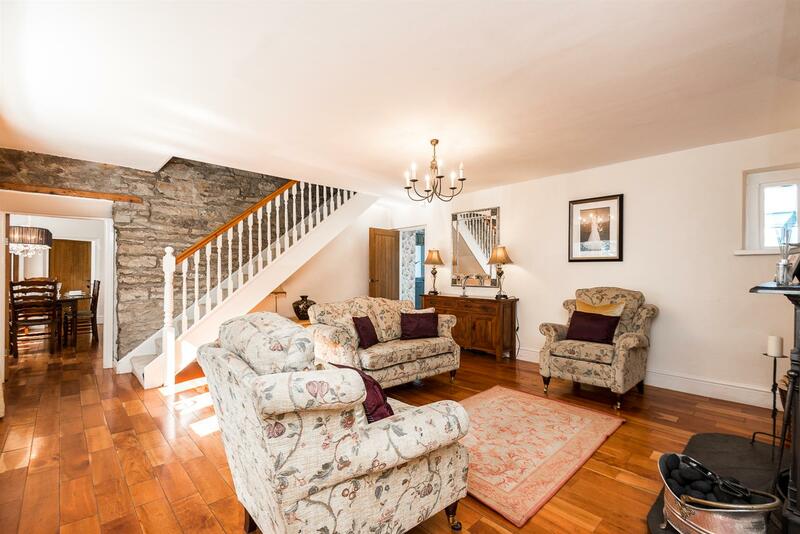 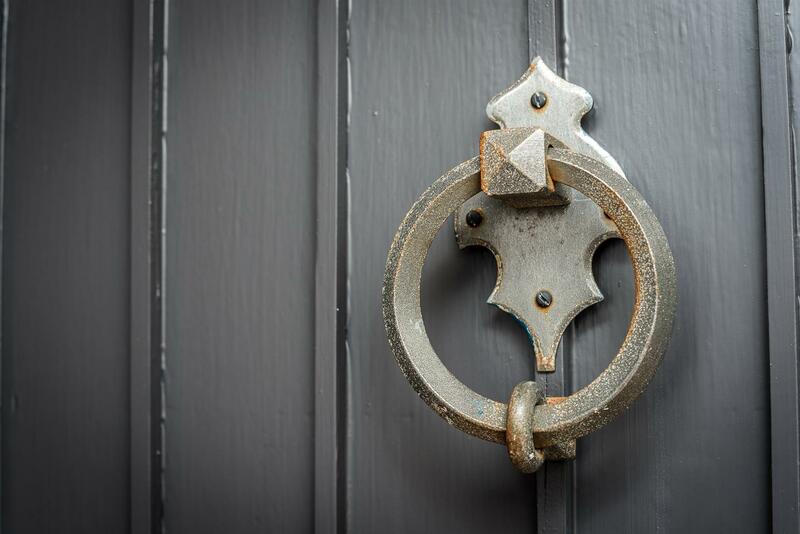 Step into the porch, hang up your coats, kick off your shoes and follow us through to the large entrance where you are instantly welcomed by the open fire. 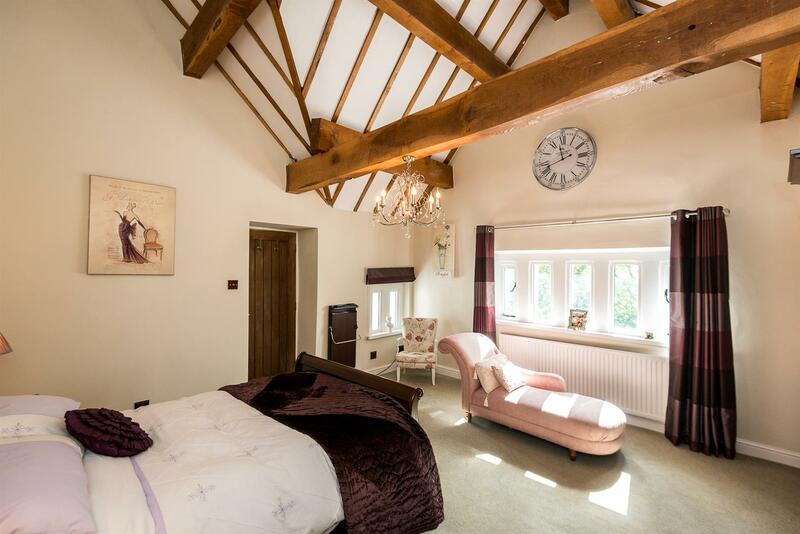 This room is used as a second lounge, a lovely big room with wooden floor and mullion windows giving you a perfect view over the garden to the front. 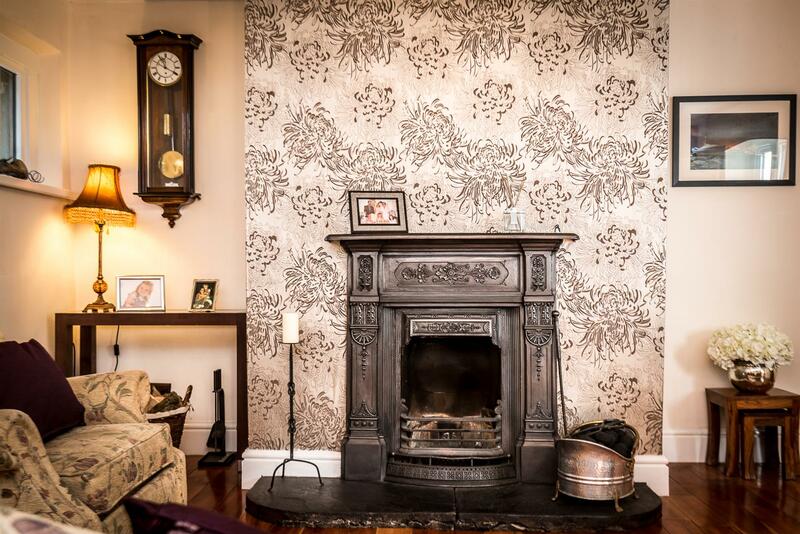 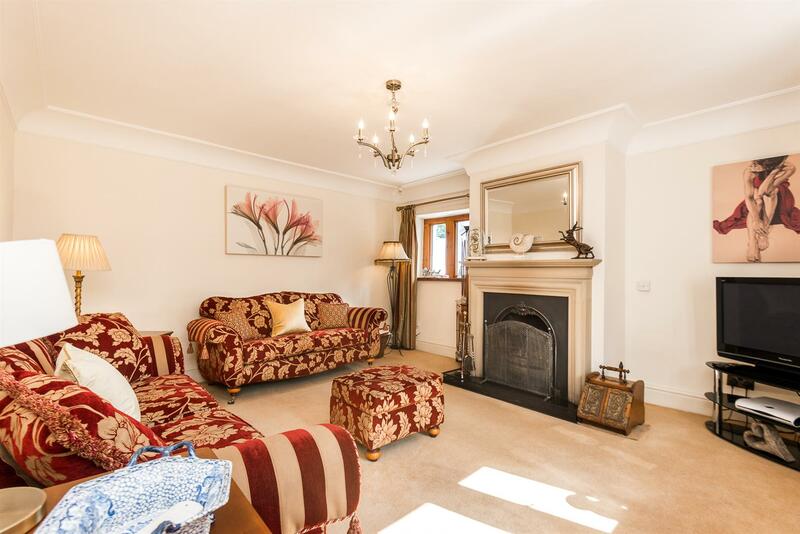 There is another lounge off to your right, also with an open fire, which has a sophisticated yet cosy feel. 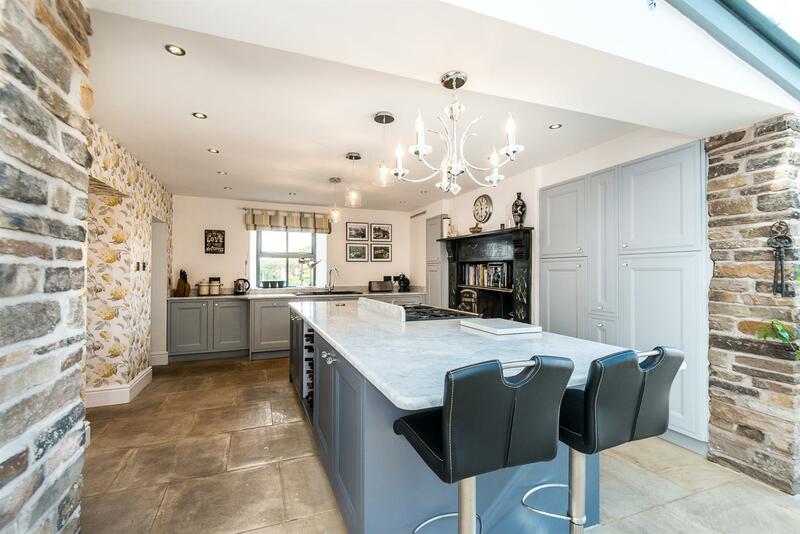 Back through the first reception and now to the kitchen, this room is sure to impress the most discerning of buyers, with its dove grey cabinets, white marble surfaces and stone floor, the kitchen is traditional and timeless and absolutely everything has been thought of from the integrated appliances to the endless storage. 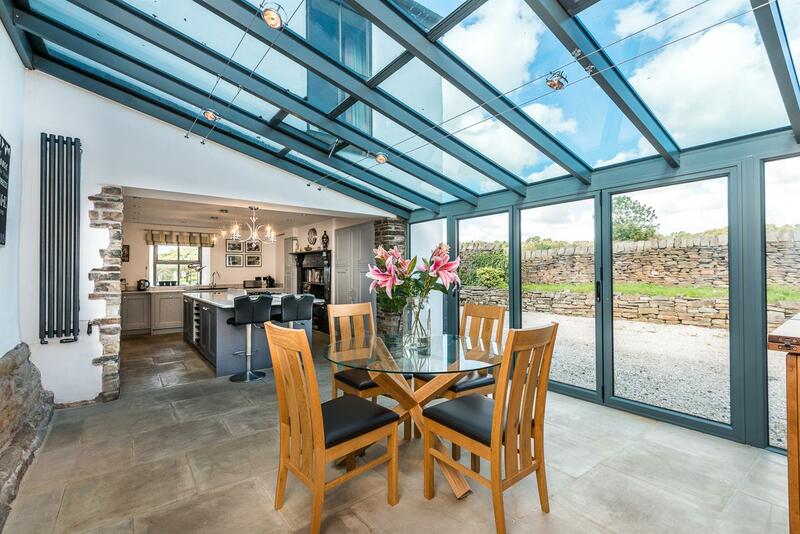 The original range remains here, a nod to the past in this contemporary space where a fabulous glazed extension has been added. 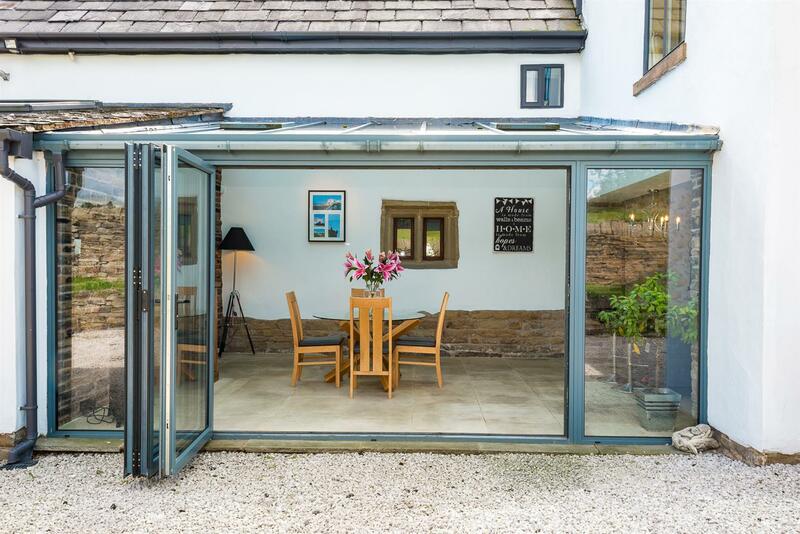 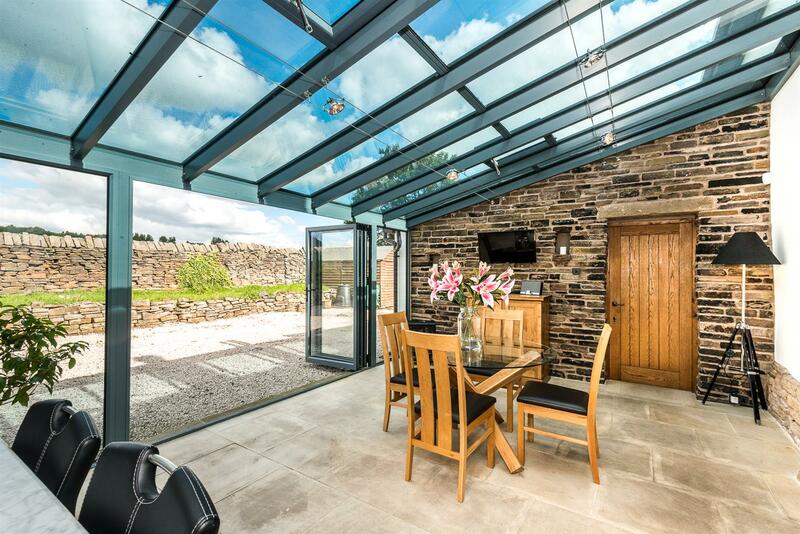 Bi-fold doors lead you out to the back of the house and round to a quaint courtyard, the perfect BBQ spot. 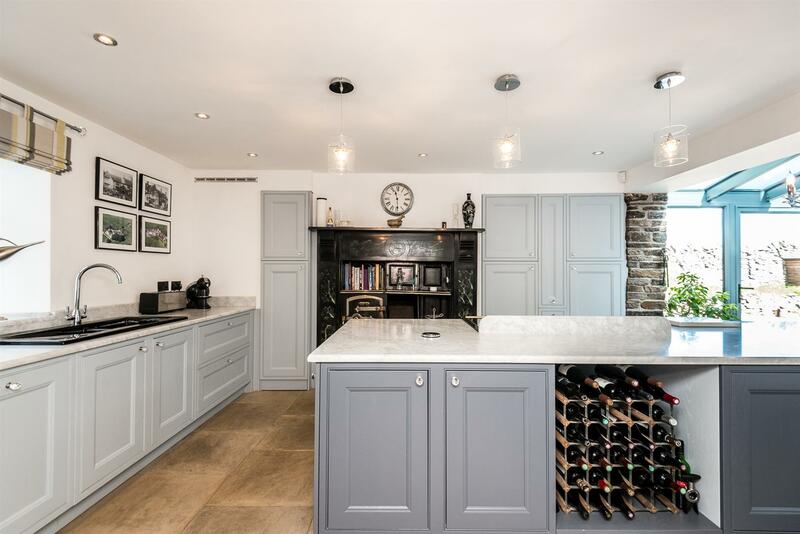 Also off the kitchen there is a handy boot room and if that's not enough storage you have more in the utility room on the opposite side of the kitchen along with a handy downstairs toilet. 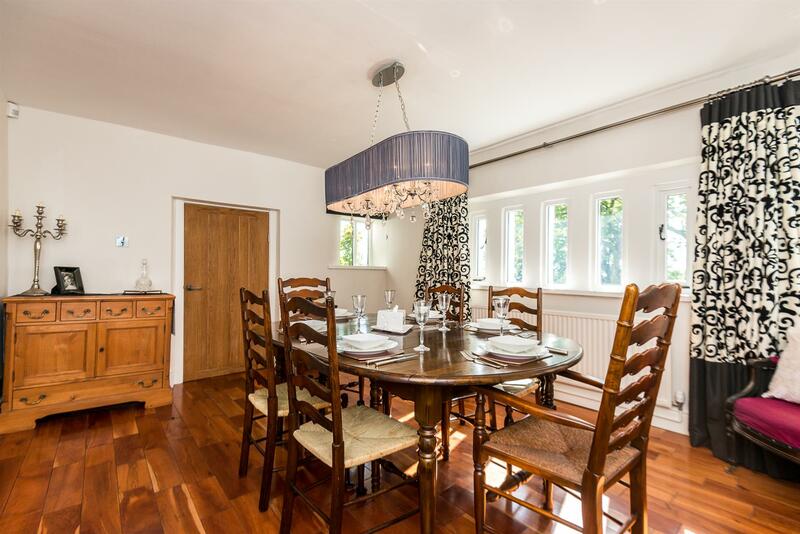 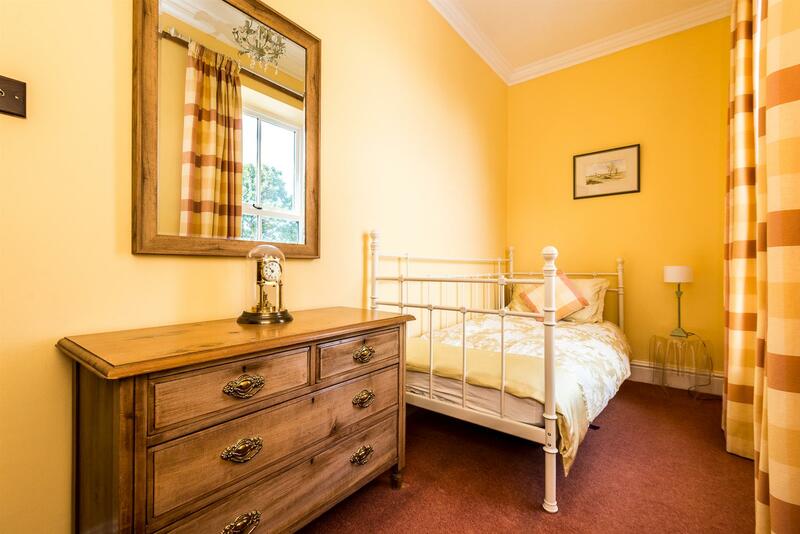 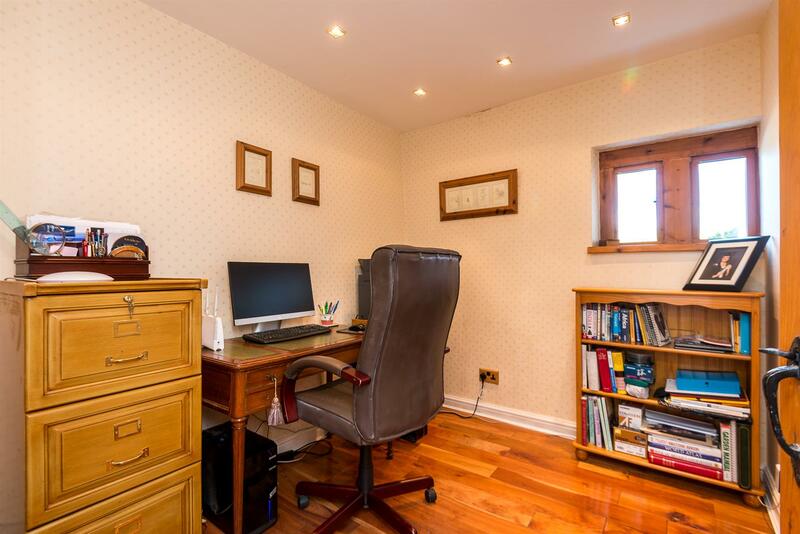 For more formal occasions you have a lovely dining room which also looks over the lawn to the front and just off this room you have your study, quietly sited at the back of the house. 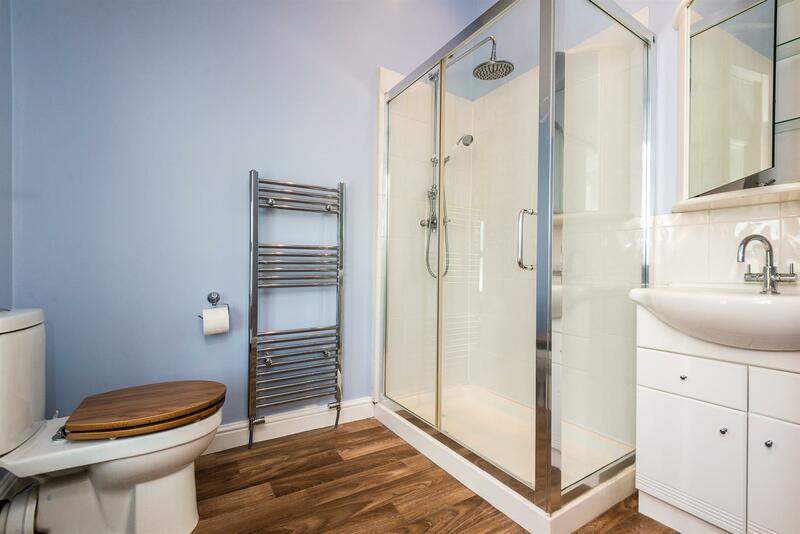 Now for the annex, this part of the house is a fabulous addition for guests or maybe a teenage suite. 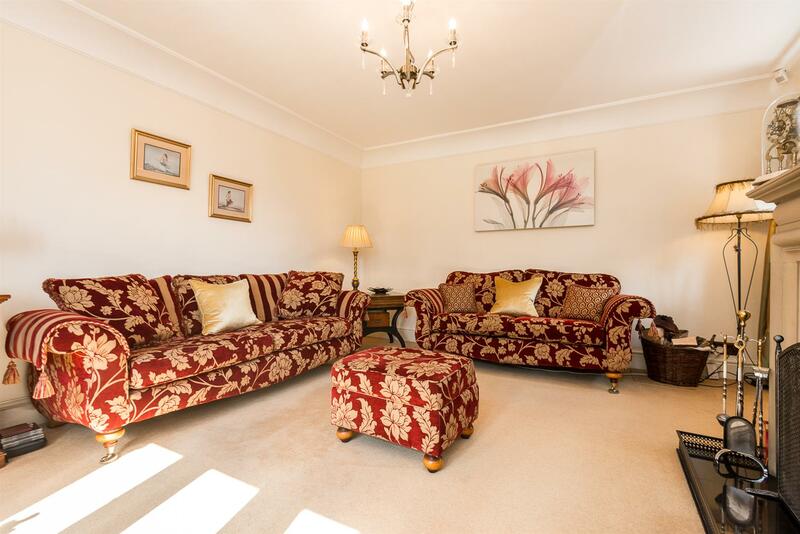 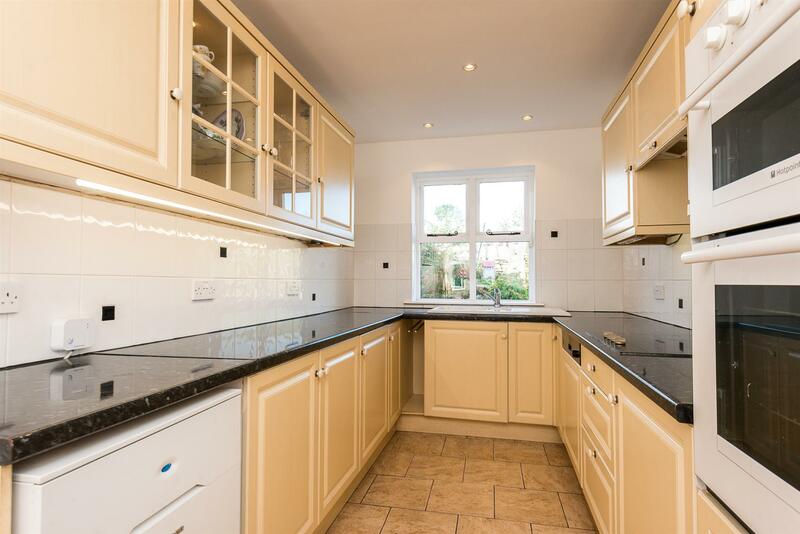 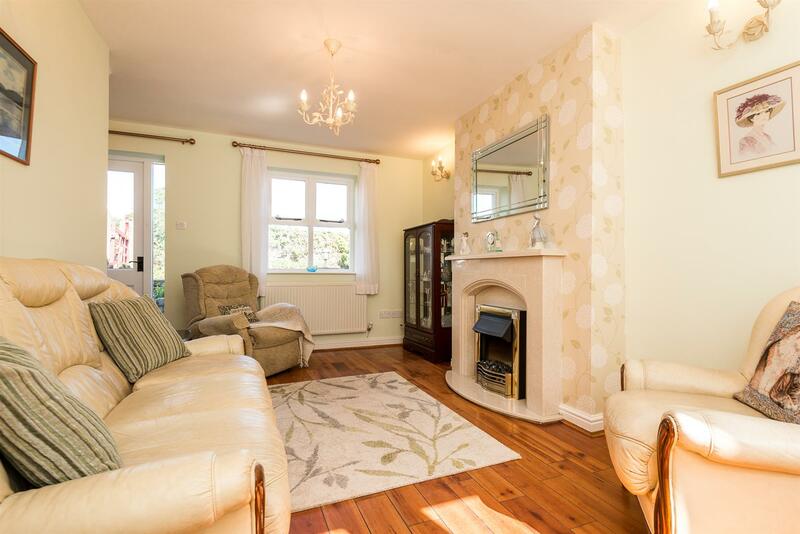 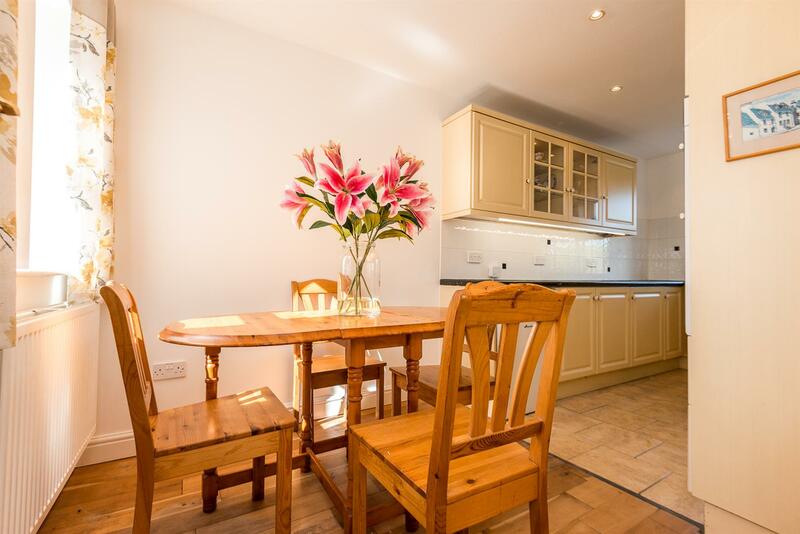 With it own access back and front, lounge, kitchen, shower room and two bedrooms. 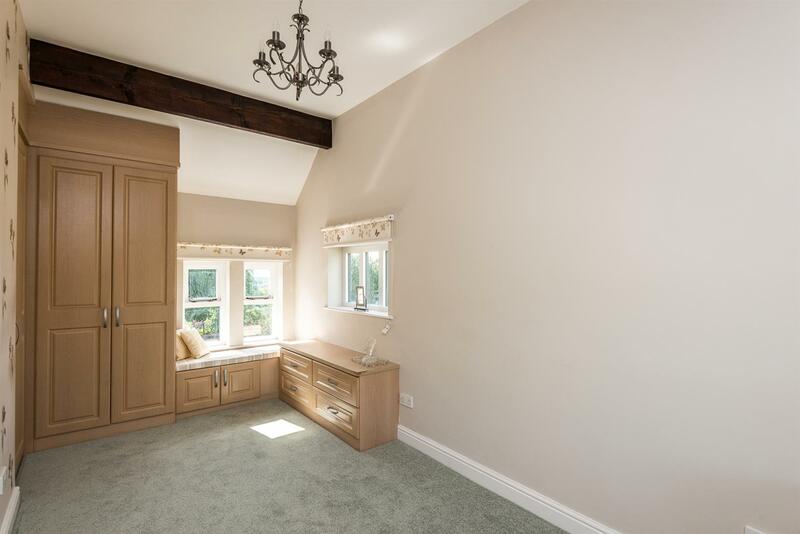 If you don't need the separate annex then it could easily be incorporated into the main house giving extra living space and bedrooms. 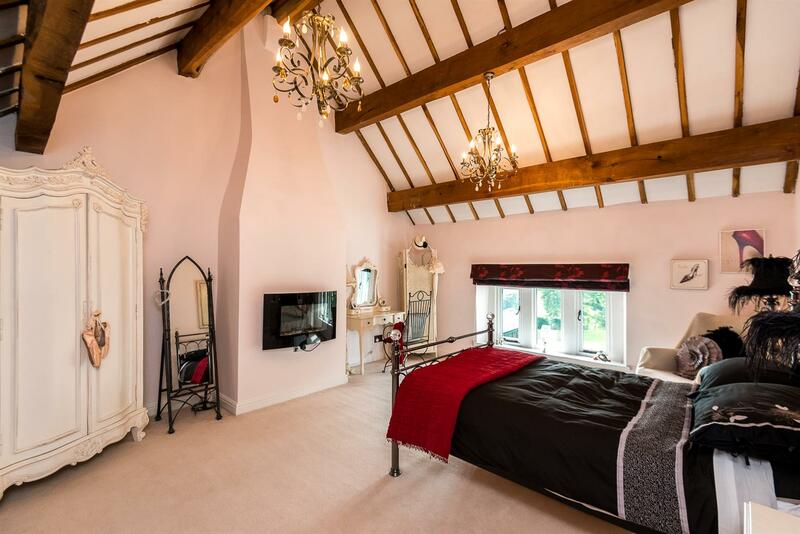 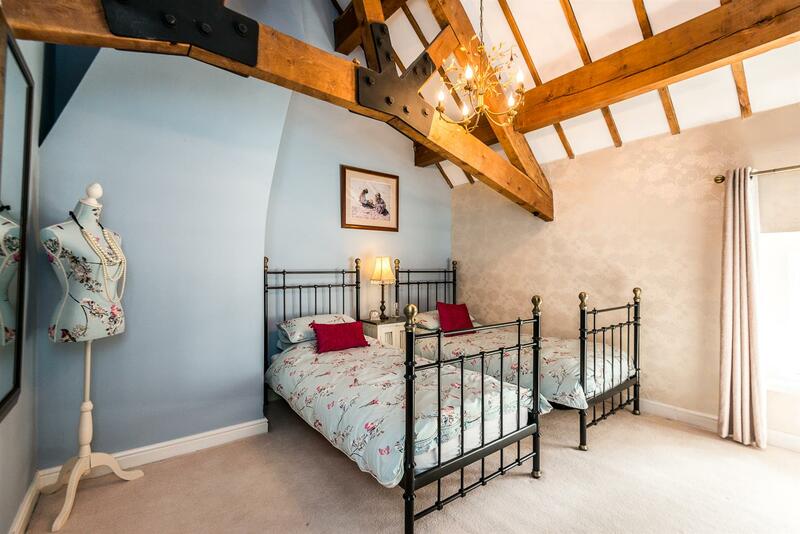 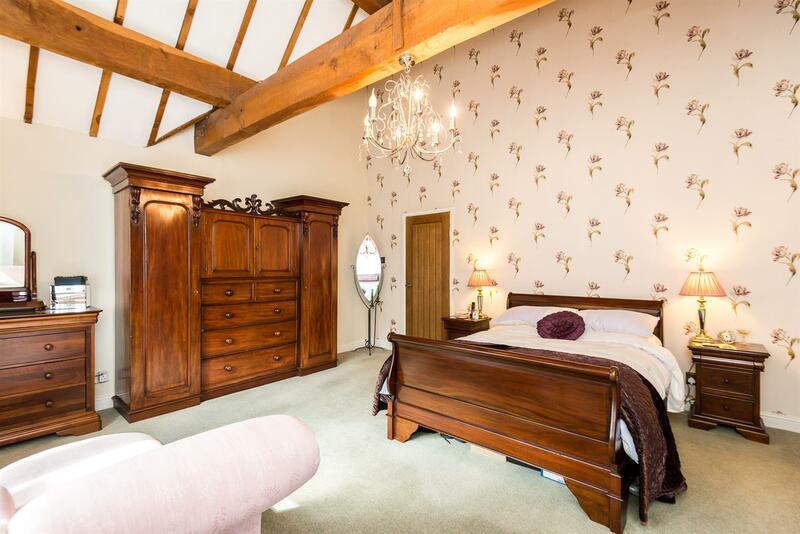 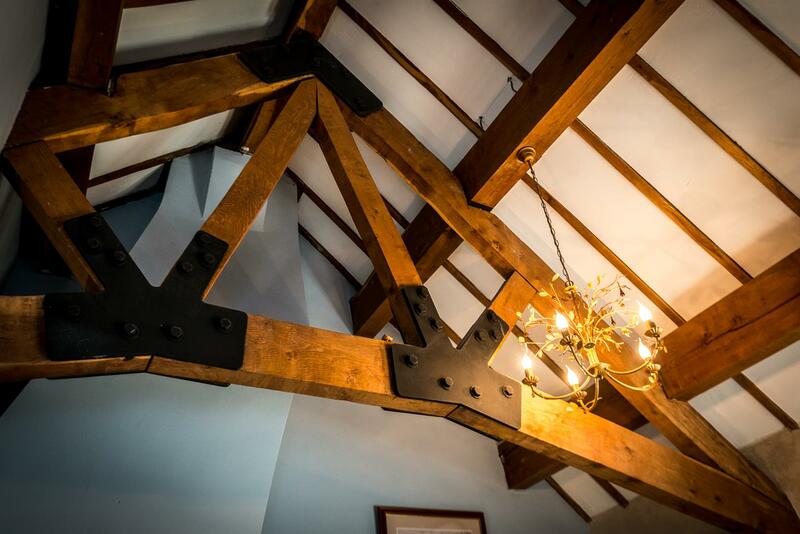 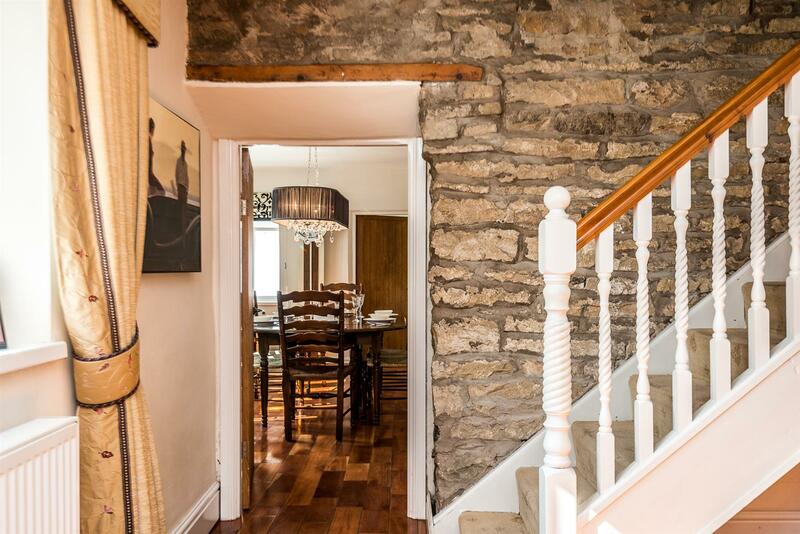 Upstairs in the main house the high vaulted ceilings and exposed timbers give a dramatic feel. 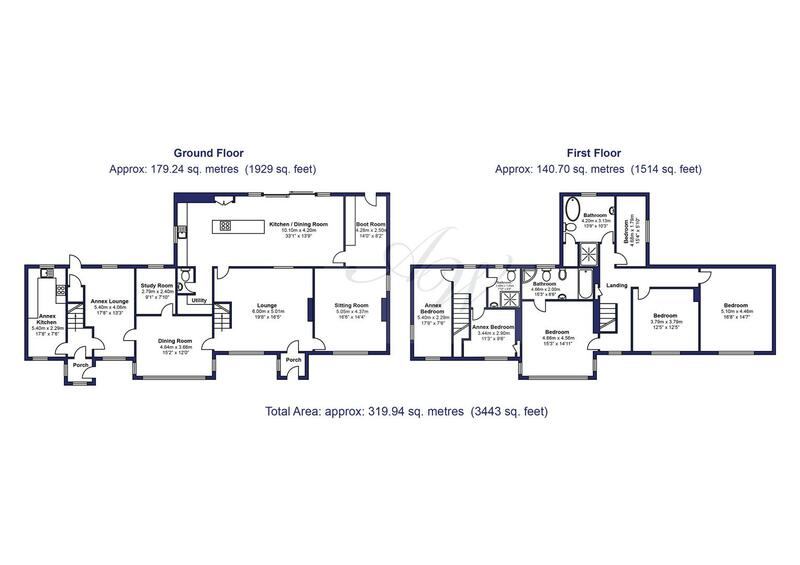 You have four bedroom on this floor, three double and one single. 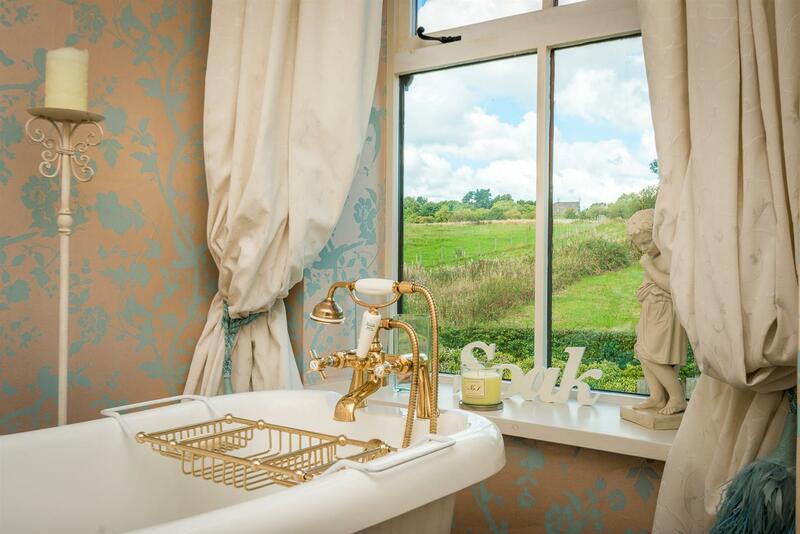 The master suite has its own luxurious bathroom with a roll top bath and separate shower. 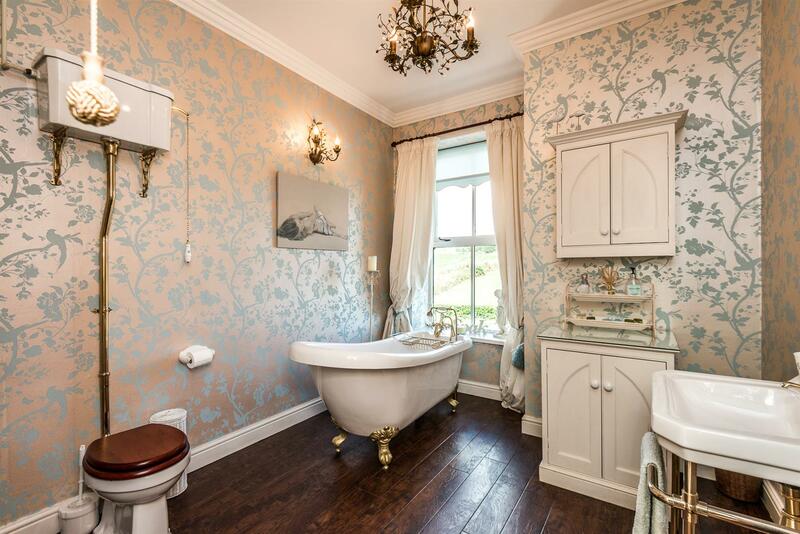 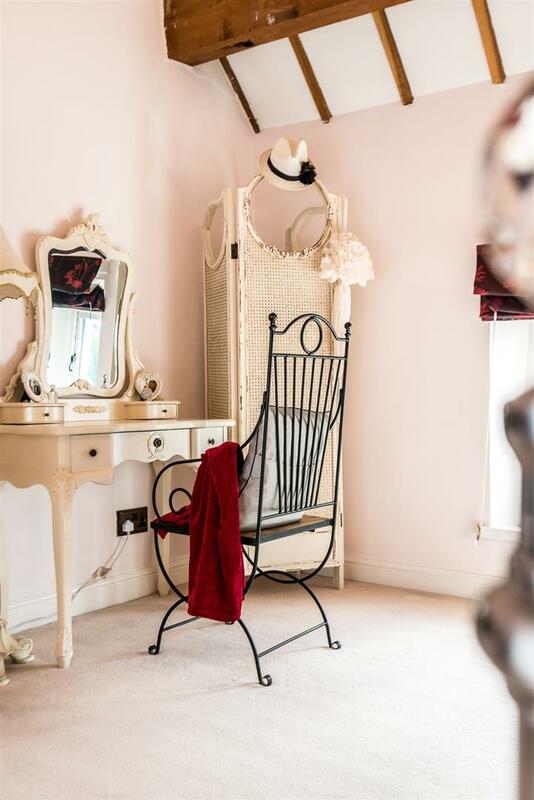 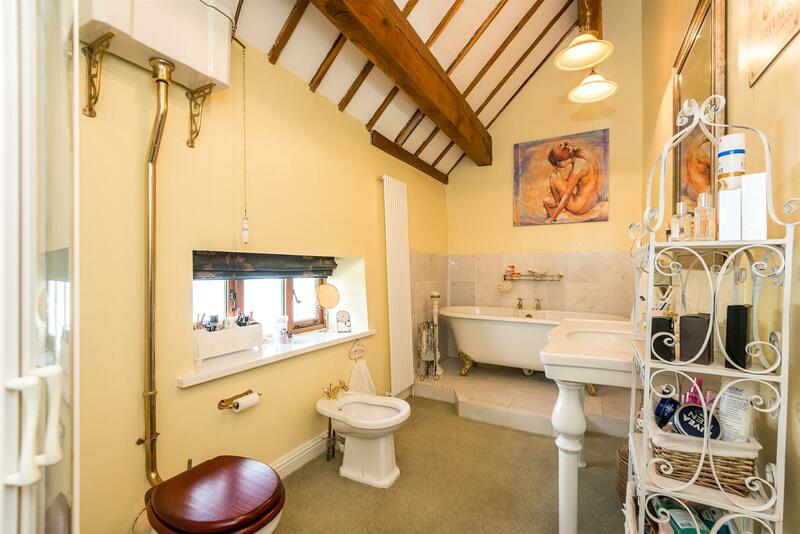 There is another bathroom off the landing, the view from the slipper bath is quite something! 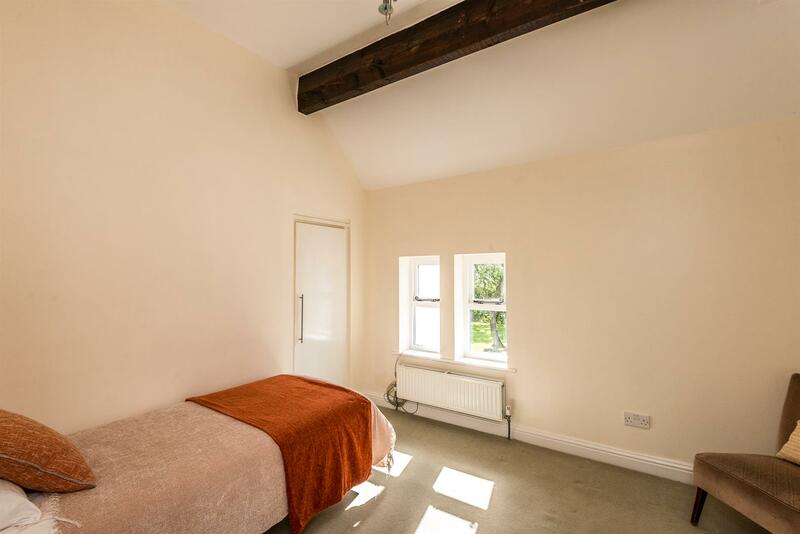 Don't forget that you have the potential to break through to the annex on this floor if you are looking for even more space. 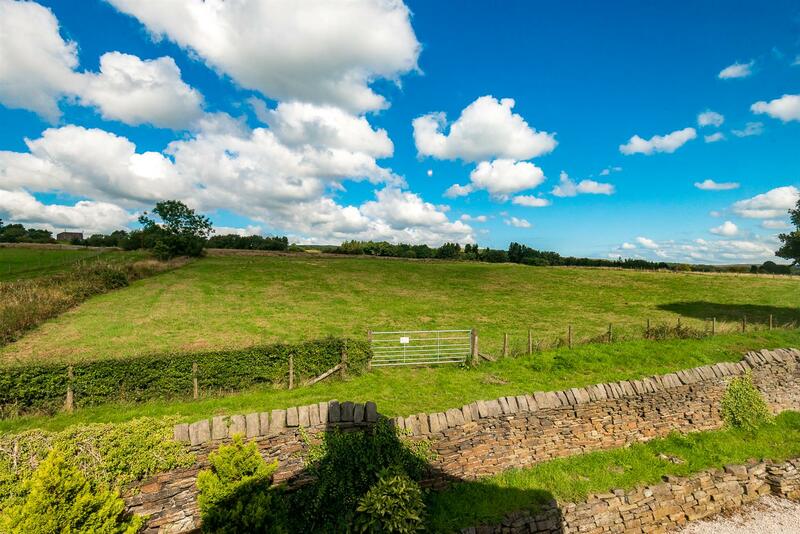 The location of Hollin Hey is not where you would expect to find a property of this type, it's far from remote and you have the buzz of daily life on your doorstep. 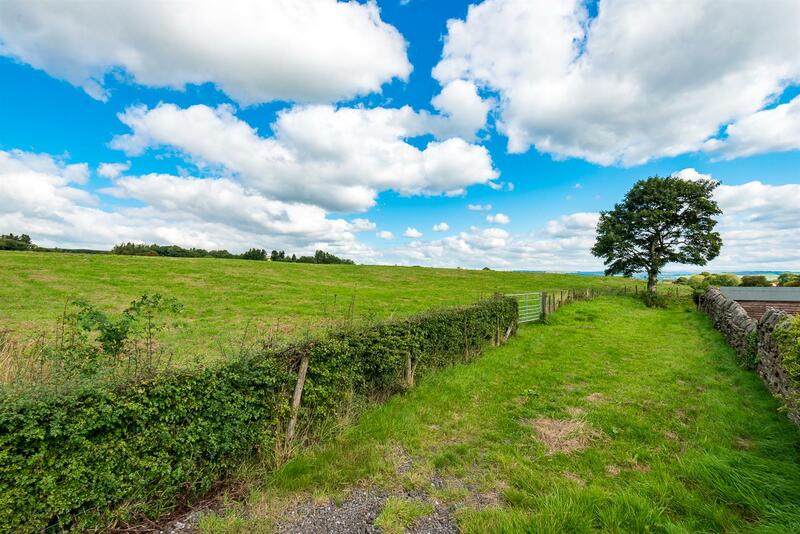 From Chorley Old Road turn into Romney Road and continue to the farm track which rises up and as you start to climb you get a glimpse of the open countryside ahead and suddenly you get a sense of being away from it all. 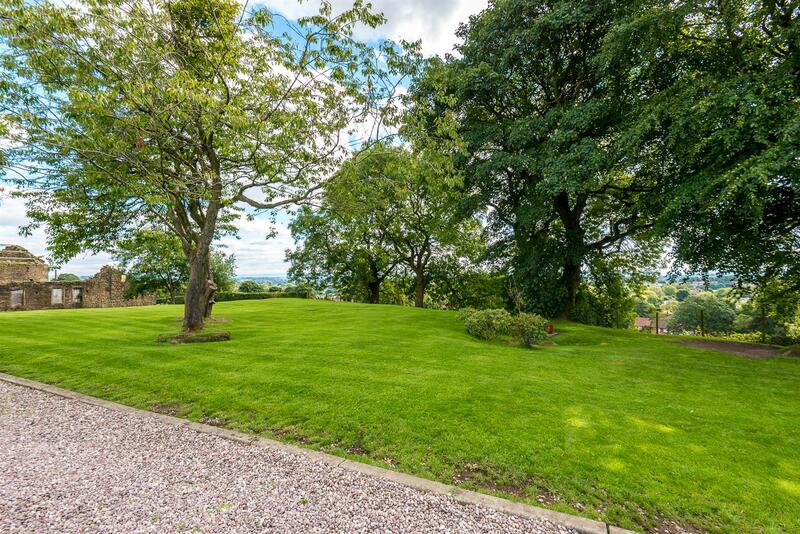 If you need to be close to motorway access, schools even a golf club, you have it all, this really is a unique setting and one that has to be seen to appreciate that you have the best of both worlds including Horwich and Middlebrook at your fingertips. 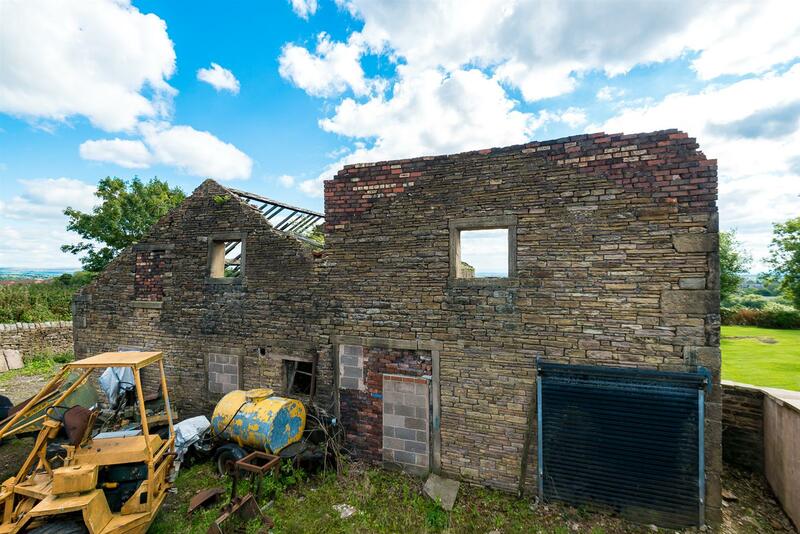 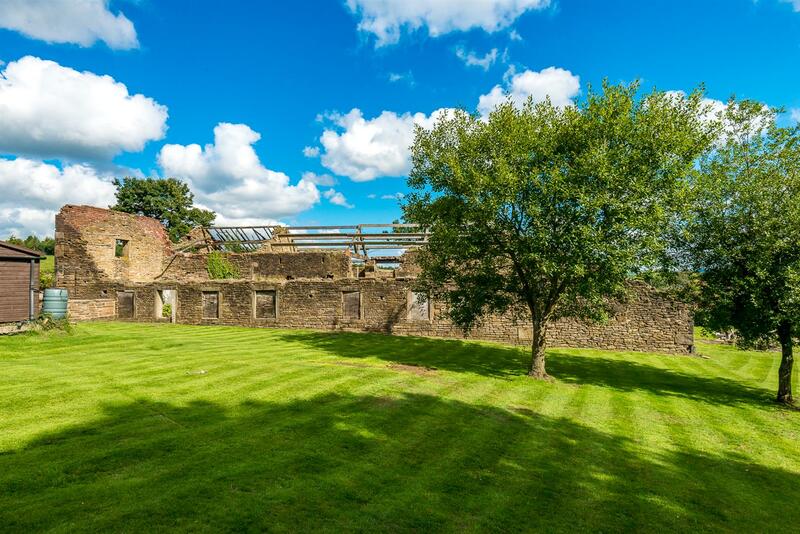 As well a stunning family home with its own annex for family or guests you have the potential to develop the derelict barn. 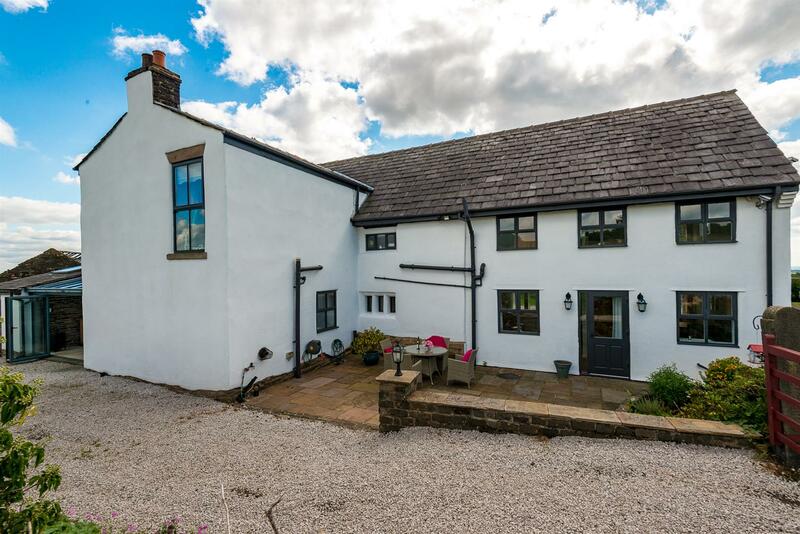 Planning was passed to convert this into two dwellings with their own access from the lane at the back of the house but you may have other ideas... the possibilities are endless.